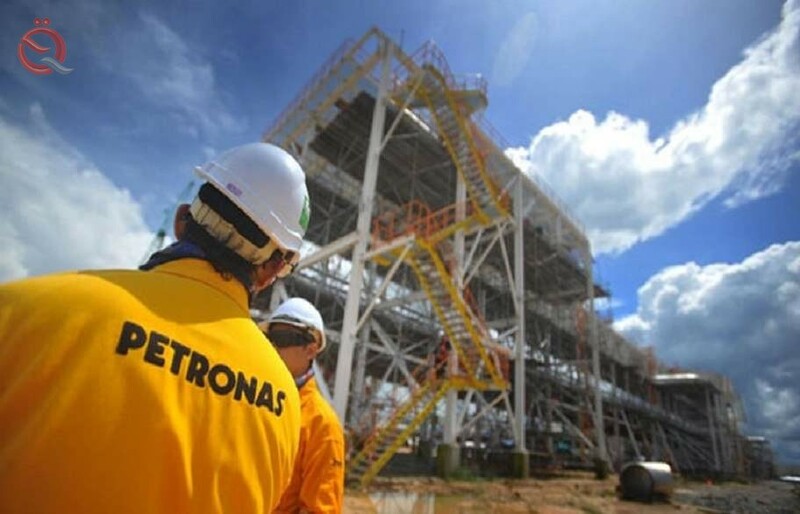 Petronas's investments in the oil and gas industry in Iraq amounted to 8.3 billion dollars, while the company raised the production of the oil graph to 118.5 barrels per day. The head of the operations of Iraq, Abdul Malik bin Jaafar, said that "Malaysian Petronas company operating in the field of oil Gharraf in the province of Dhi Qar achieved the highest export volume of 118.5 barrels per day, while the company was able to achieve the highest daily production of 103.3 barrels in December 2018, after The completion of the drilling of 22 wells, stating that operations, health, safety and environment ( HSE ) remain essential elements of Petronas' work as we strive to ensure that our facilities and services operate safely and in accordance with regulatory requirements and better HSE practices. " "In all our rapidly expanding and growing projects, Petronas has successfully implemented various social and environmental programs and guided by our corporate sustainability framework, we carry out our work in a socially responsible and inclusive manner for the benefit of current and future generations," he added. He explained that "the company invested about 150 thousand US dollars in 2018 within the programs under the name ( CSR ) of social benefits that benefit the area of ​​the field." The company plans to expand business activities in Iraq, including technology and production development, including extraction efforts at Al Gharaf, as well as the fields of Halfaia and Badra. Petronas said in its previous report as the operator of the oil field Gharraf that it succeeded in reaching the first commercial oil production on 31 August 2013 after signing the service contract for development and production ( DPSC ) for the region of the contract ( Graaf ) in February 2010, so far invested about 8.3 billion Dollars in the oil and gas industry in Iraq. The company confirmed in the report that "the field of oil Gharaf produces an average annual rate of up to 100 thousand barrels per day, and so far contributes 178 million barrels of cumulative Iraqi exports," expected to increase this rate more than doubled to reach the peak production target of 230 thousand Barrels per day by the fourth quarter of 2020 on the expectation that the rate of production will remain stable at this level beyond 2030. "Petronas applies innovative technologies that help us discover and increase energy sources even from the most difficult environments. Our integrated value chain extends from exploration to marketing, logistics to technological infrastructure, with projects in more than 50 countries." "Capacity building has always been one of the key elements of our operational philosophy to develop local talent wherever we go, especially in the region where we operate so far," said Bajo Belonk, Vice President, Petronas International Projects. "The company was able to achieve success 100% of the POT program, and invested about US $ 550,000 through scholarships. " "We are proud to have nearly 600 local talents working with the company, 66% of which are part of our technical teams. Our goal is to support Iraq's energy needs and needs in a sustainable manner for the benefit of current and future generations." It is worth mentioning that ( Petroliam Nasional Berhad , / PETRONAS ) was founded in 1974 in Malaysia, a multinational oil company and integrated gas and is one of the world 's largest companies.